Celebrate this New Year with your friends and family, as you deserve to. Host a party and invite everyone you know, and be known as the party maker of the century! All you need are this super fun and New Year themed templates, to help you design your invitation cards and also give you something to decorate your place. 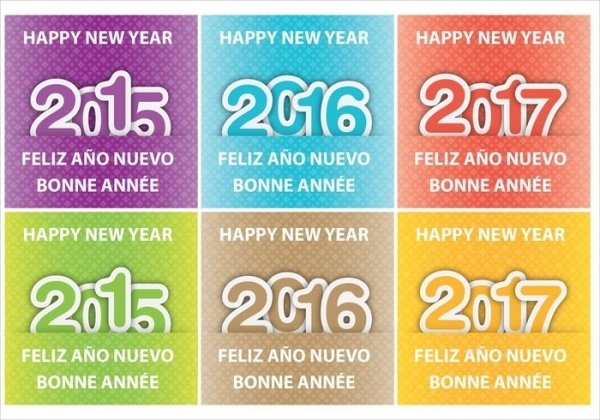 These happy new year designs are free and very easy to use and edit, requiring no much technical knowledge. Happy editing! 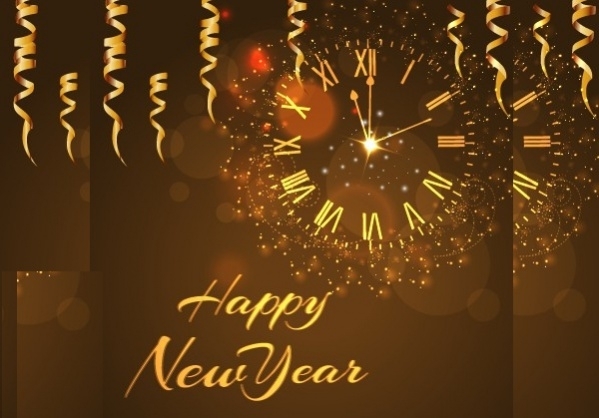 This blazing New Year design has a look of party and dominance to it, as it is done with the classy style of combining gold with black, as the main colors. They are super easy to edit and best for parties. This invitation card is simple and elegant. The color used is white, which is combined with a pale brown that makes this card classy. This can also be used for weddings and formal parties. Free New Year Card Design, Celebrate the New Year with these simple cards, which can be used for both personal and professional purposes. These are available in simple pastel shades, and the message in English, Spanish, and French. 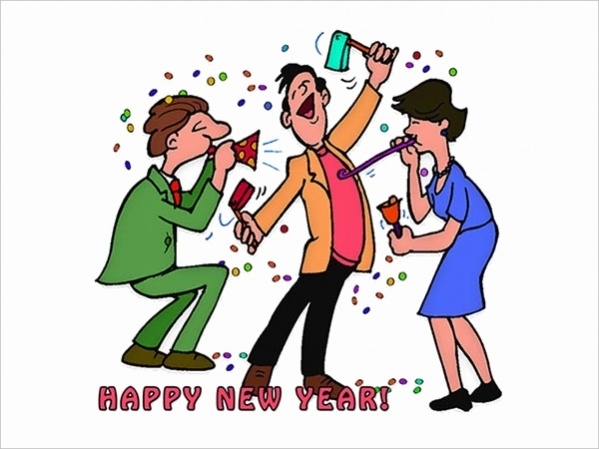 This clipart design is colorful, containing three adult characters, seeming to be partying hard. They are easy to edit and can be used for any party occasions, for formal or informal purposes. 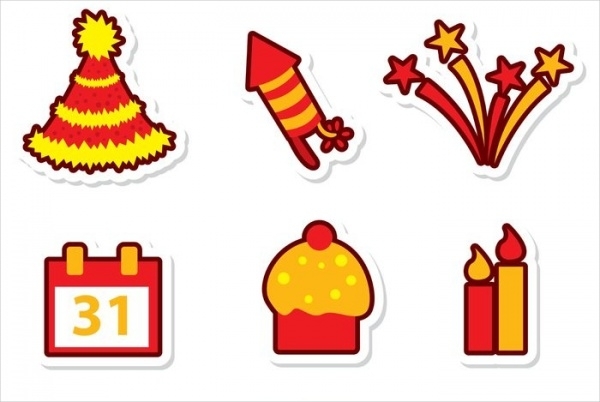 This Christmas and New Year design pack icons are fresh and are available in high-quality because of only the best for you. They are colorful and attractive to the eye, not to mention, cute. 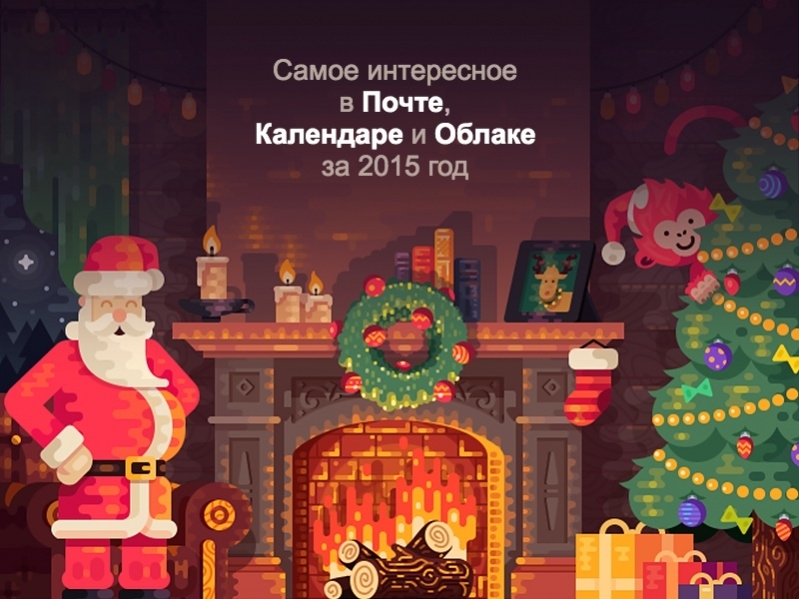 This Christmas and New Year illustration design is classy and elegant. The use of bright colors fills the Christmas tree and the surrounding, focusing on the happy Santa laughing merrily. 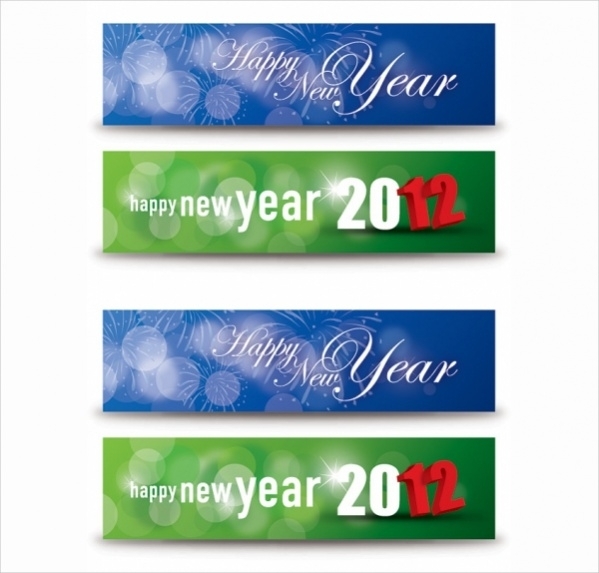 These set of banner designs are available in two design formats, one in a beautiful blue with foamy fireworks, and the other in a bright green, with simple New Year font with the message. These set of font design is simply beautiful. They range from thin elegant style for formal, to bubbly characters for children’s purposes, for parties, invitation cards, banners and other purposes. 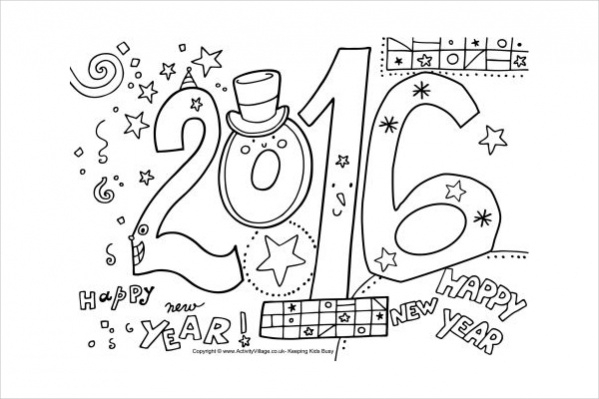 This free New Year designs coloring templates are cute and simple. Make a competition or activity for your children in school or at home, with attractive prizes for the person with the best-colored one. 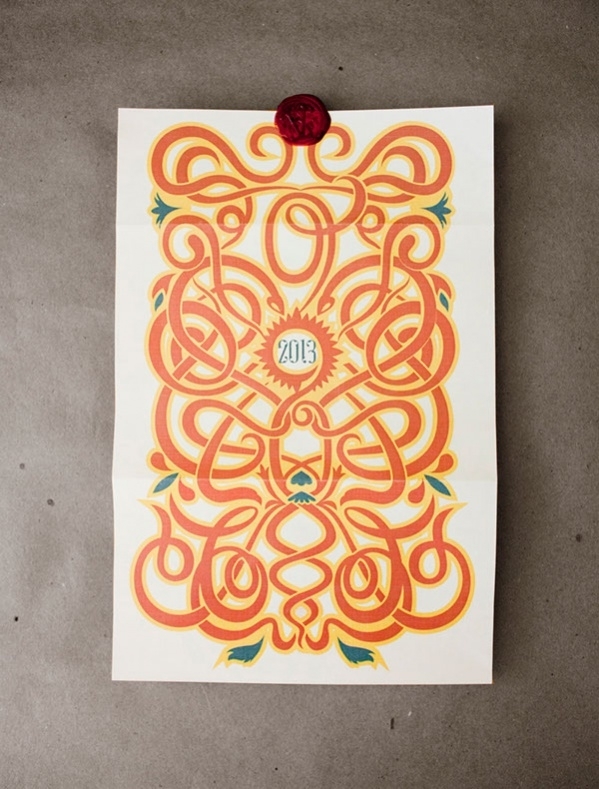 A splash of colors to brighten up your year ahead, with this greetings design. You can edit this and use for your desktop wallpaper, or even print it out for your party decorations. This sign post template is attractive and colorful. 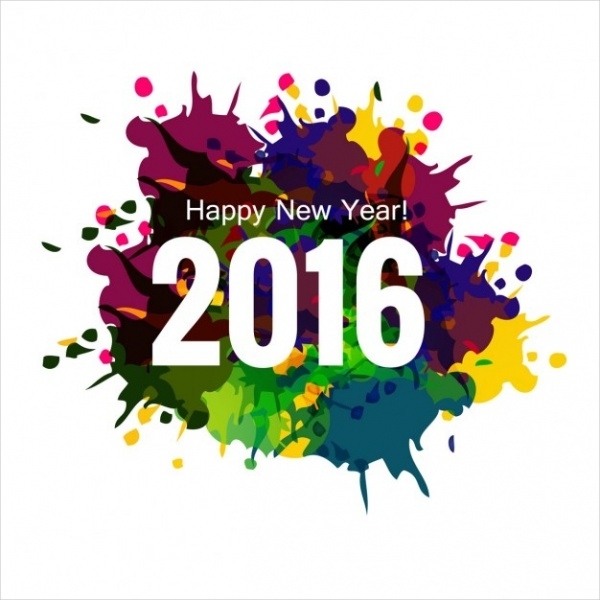 The theme is used of neon green, pink and blue, to form the numbers of the year artfully. The background is an attractive blue. With bright colored lights of pink and purple, the black background is illuminated with these colors and fairy lights. 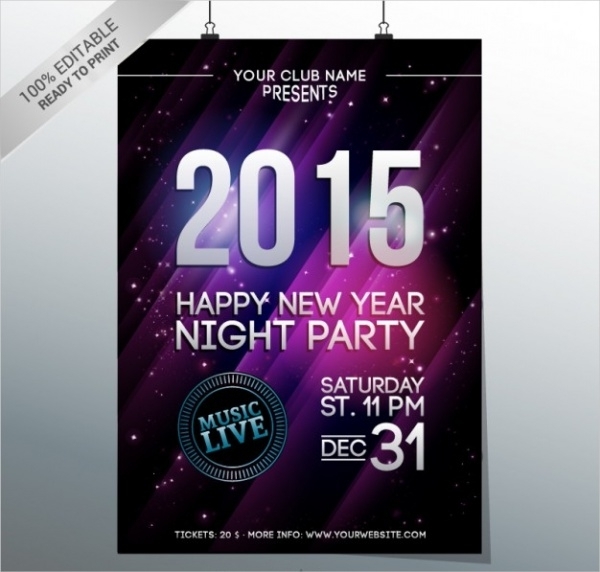 The font used is bright and bold, perfect for this New Year, concerts and music fests. 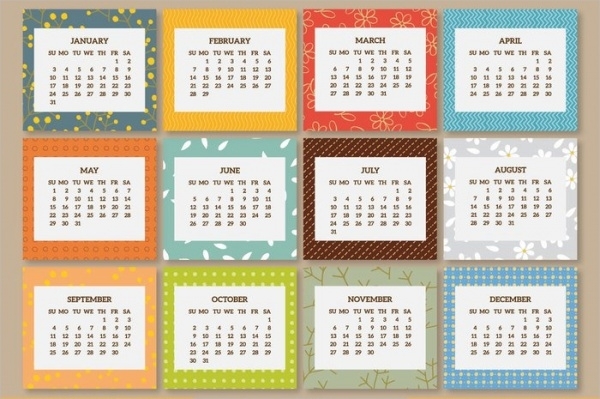 These calendar designs are funky and modern, clearly keeping up with the passing time. They are colorful, simple and are perfect gifts for your friends for their office, or even for yours! These cartoon templates are big and simple, with the use of attractive colors like orange and yellow, for files. 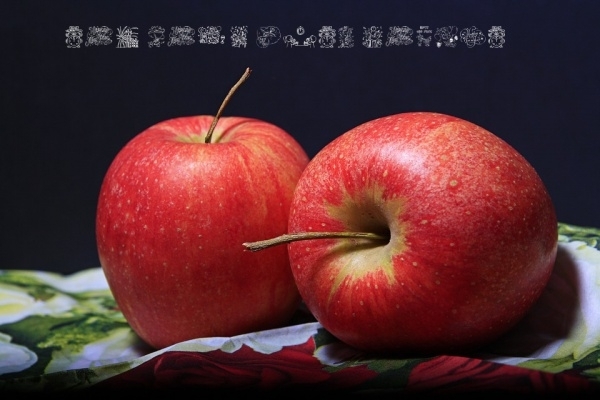 They are attractive to the kids and can be edited and used for projects. 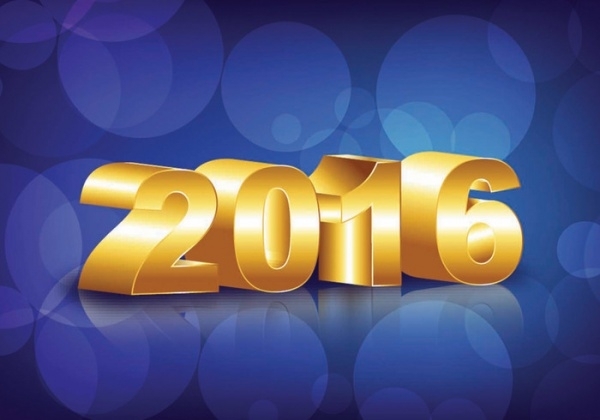 Nothing says Happy New Year than a bold font of the year given in gold that can be used for your desktop. This template is easy to edit and is available in a beautiful blue with gradients. 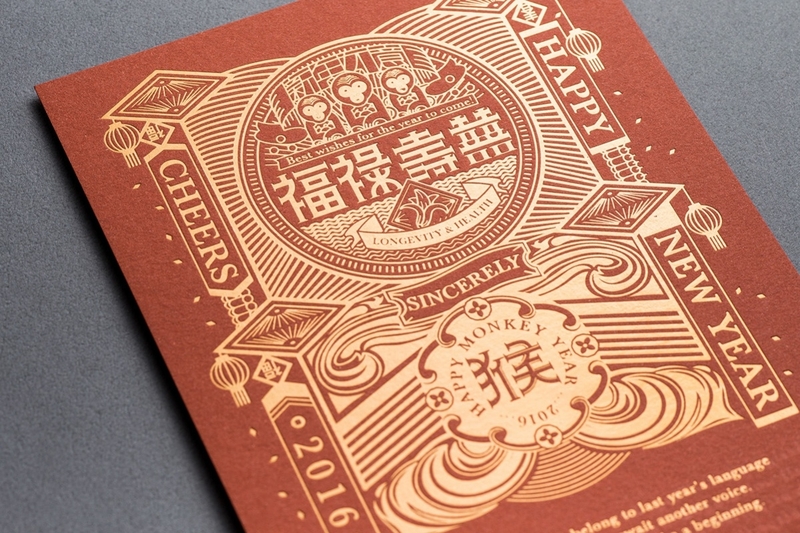 This New Year letter design is vibrant and attractive, because of the orange color used in the streamers, which overlap one another on the whole page, forming a beautiful Chinese design. The background color of the template is brown, which helps the golden letterings and designs shine out a little better and also give a feeling of vintage time. They are available in EPS format. If you are looking for cute printout to decorate your little daughter’s bedroom, these are the way to go. 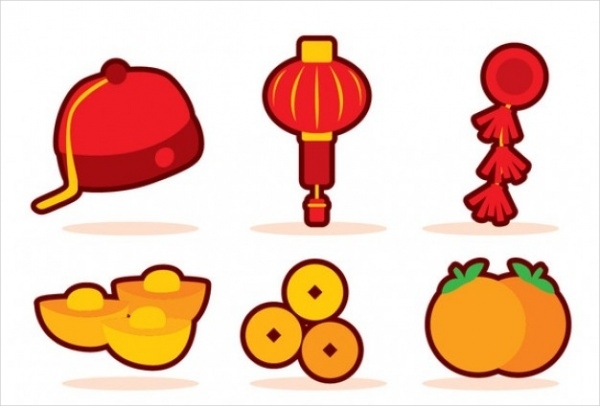 The color theme is golden yellow and red, which are pretty and attractive. The designs on these template cards are intricate and beautiful, setting a traditional mood to the party. 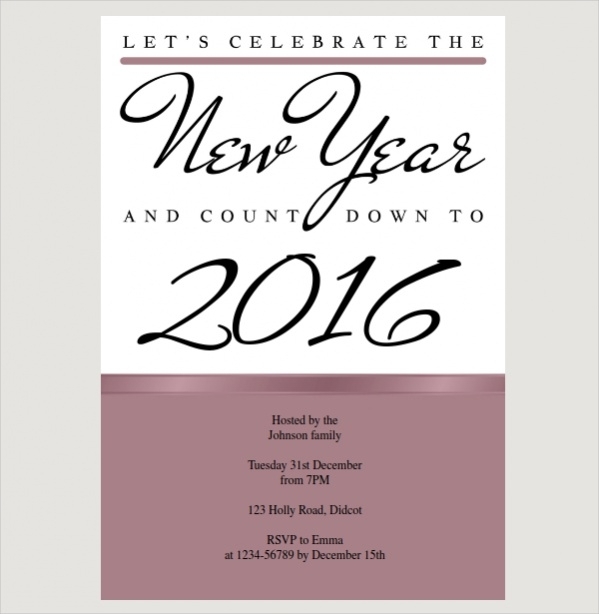 Use them for your next office party or even a family invitation, as they are semi-formal. 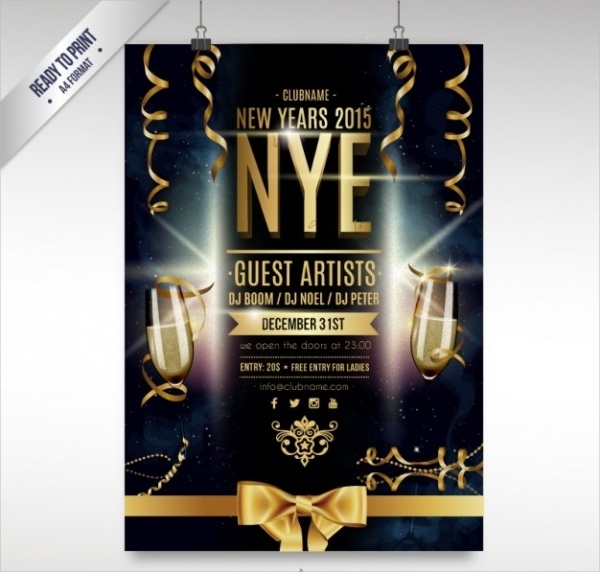 Use these free PSD New Year designs for your craft project or office party, and be known as the host of the year! They are absolutely fresh and get your creative mind rolling. Don’t waste time on designing from scratch, instead, use these skeletons and get going for this New Year!